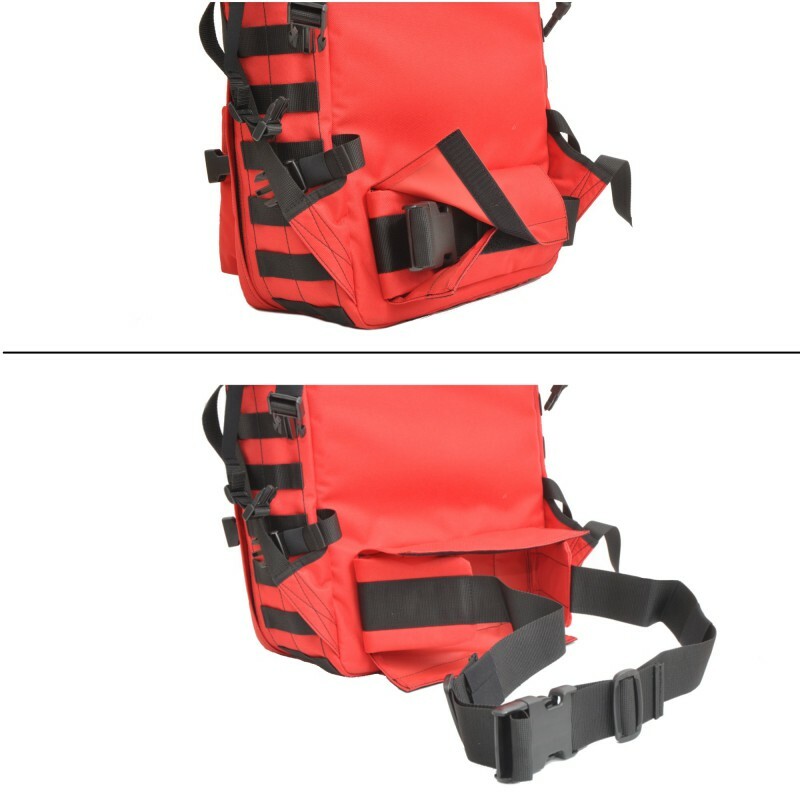 The backpack is externally fitted all around with a Molle system, as well as a small hook and loop fastener (9 x 10 cm) in the middle and a large hook and loop fastener (30 x 10 cm) above on the front page. Under the small hook and loop fastener a patch pocket (25 x 18 x 5 cm) is attached with zip. 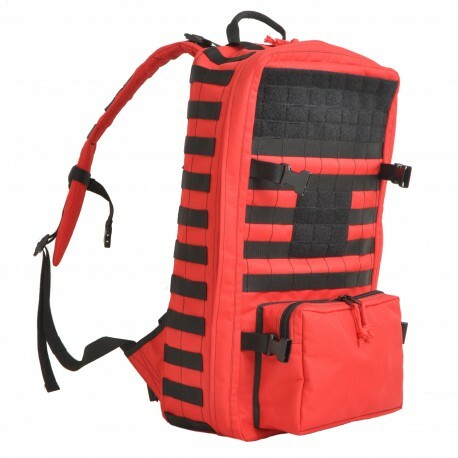 The padded shoulder straps are also equipped with Molle system. On top of the backpack is a small opening (6 x 4 cm) to stow bulky items in the backpack. These can be opened by means of hook and loop fastener. 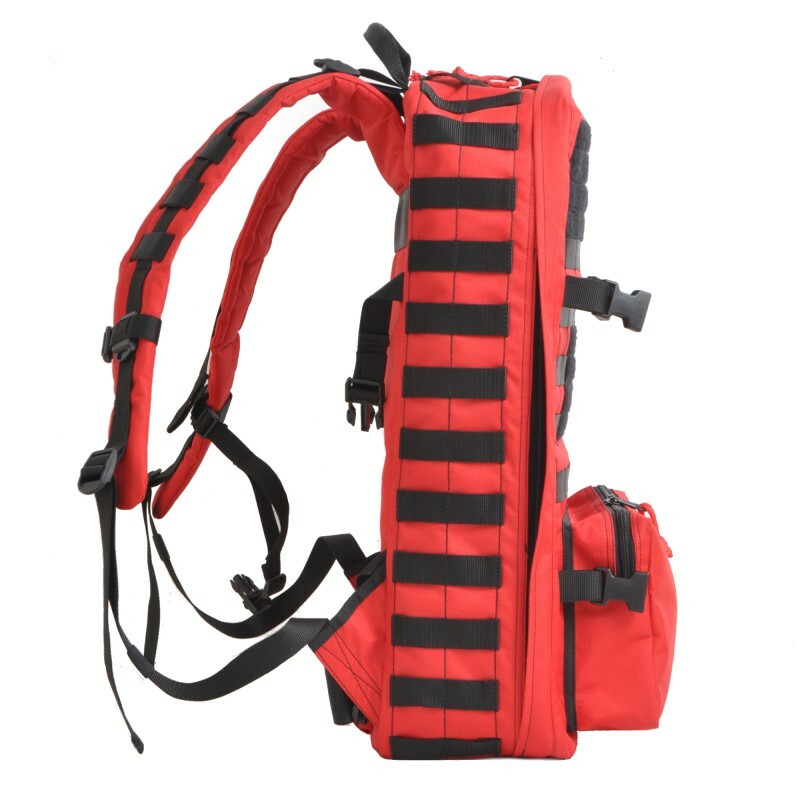 Moreover, a carrying handle is mounted on the top of the backpack. At the lower end of the body-hugging side of the backpack, a waist belt is attached. If it´s not needed, it can be hidden under a cover with hook and loop fastener. 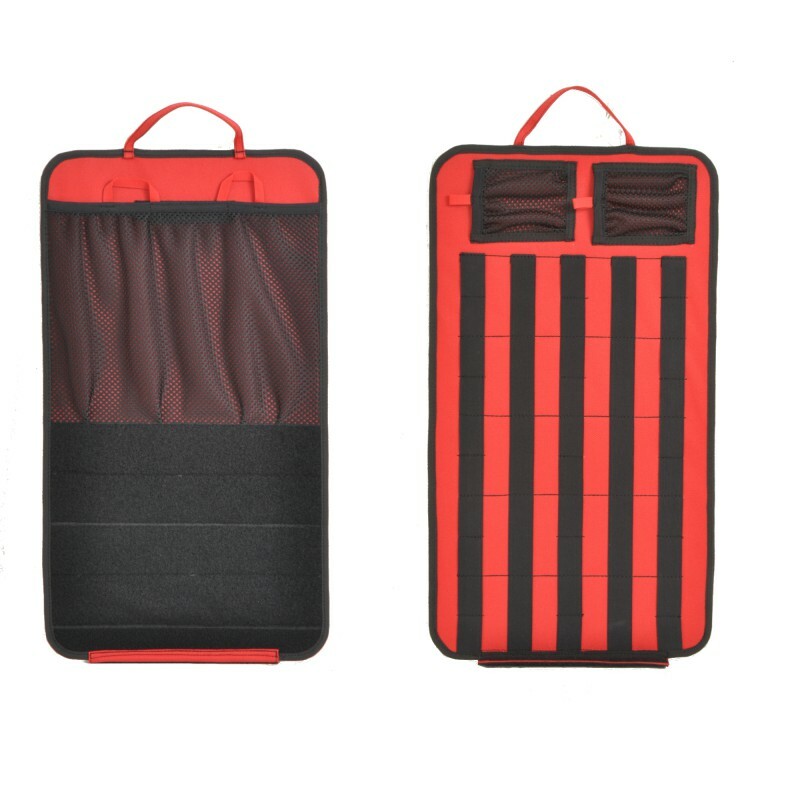 The backpack can be opened by a zipper and fold like a suitcase. 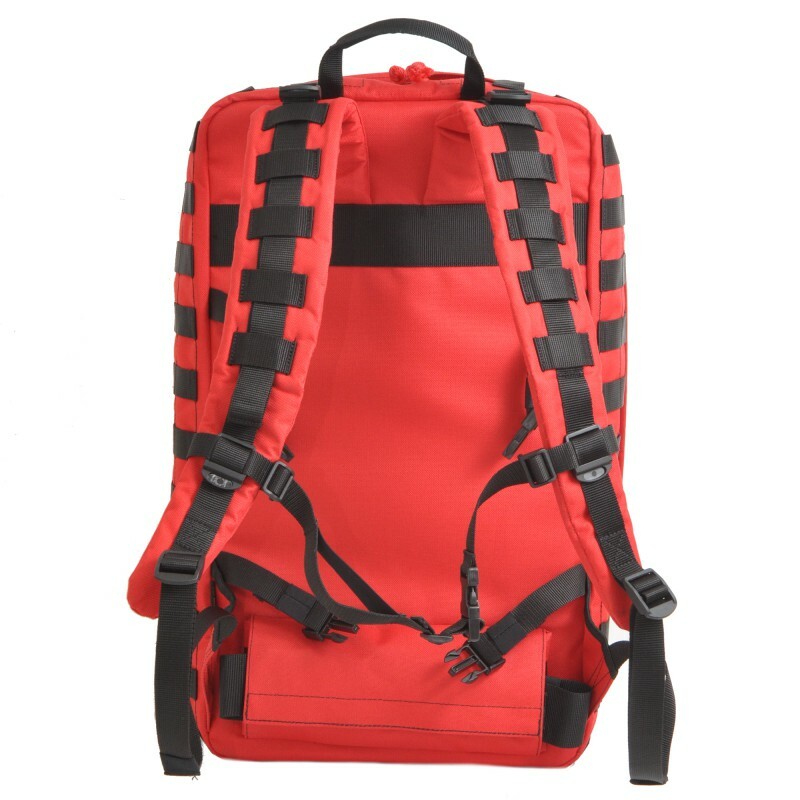 The backpack is additional provided with four plastic buckles around the zipper to prevent unintentional opening. 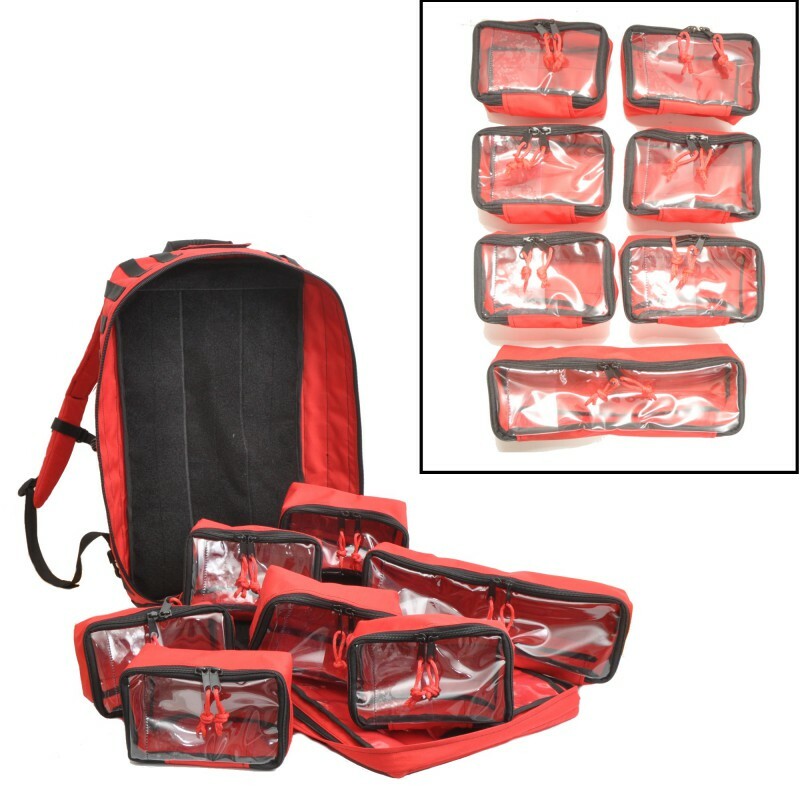 The removable inner bags are protected by a removable cover which can be used as additional storage space. There, a pocket of mesh-lining is attached, and a large hook and loop fastener. On the underside of the cover, two small pockets (8 x 10 cm) are sewn from mesh fabric. The rest of the underside is provided with Molle system. In the "lid" of the open backpack, a pocket of clear plastic and a large hook and loop fastener are attached. 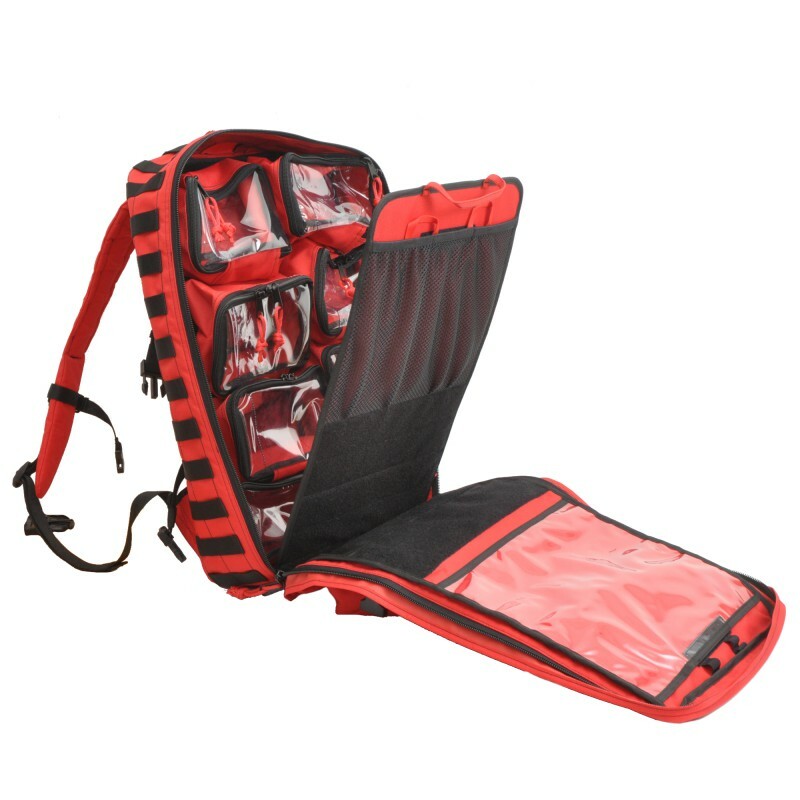 More products in category "First Aid Bag & Packs"